Koke’e State Park in the northwestern part of the island of Kaua’i is an amazing place filled with natural beauty and interesting geological formations. 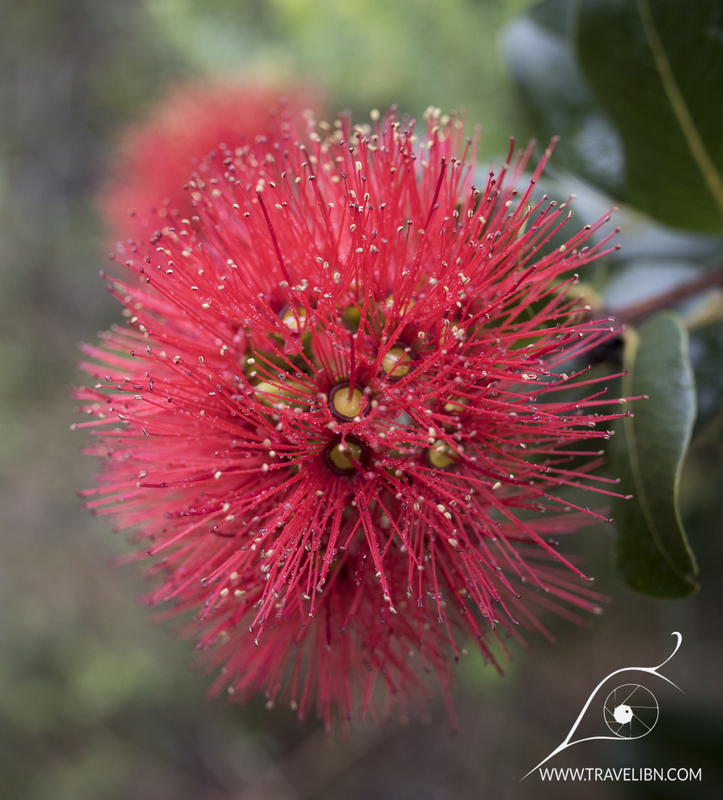 Beside the montane bog called Alaka’i Swamp and the Waimea Canyon, the park offers magnificent views of Na Pali Coast, complete with its characteristic cliffs and valleys, through a series of roadside viewpoints, unpaved hunter roads and foot trails. The hike presented in this guide leads to one of the well known and picturesque parts of Na Pali- Nu’aolo Aina Valley. 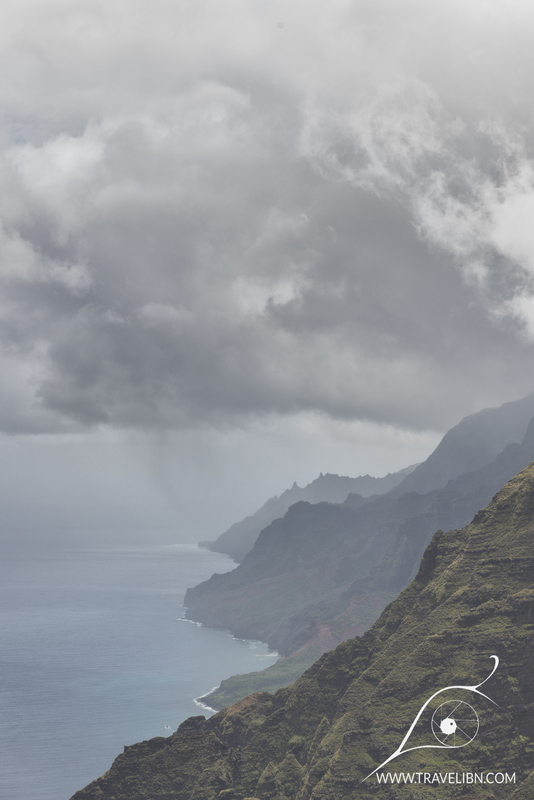 We think everyone who visits Koke’e State Park and has enough time should take at least one trail to get a close view of one of Na Pali gorgeous valleys. The views from Pu'u O Kila vista, overlooking Kalalau Valley, truly are breathtaking, although iking to one of the other valleys allows for a closer look on how diversified they are. Nu'aolo Aina Valley is famous for its visible remains of manmade terraces Hawaiians built to grow taro, a staple crop for the civilization that ruled this land before Europeans arrival. There used to be a system ladders overhanging the cliff that separates Nu'aolo Aina from Nu'aolo Kai valleys. Locals used it to transport water and food between the valleys, as they were both occupied till the early 20th Century. An ongoing archeological work is being conducted at Nu'aolo Kai that can shed some light on the way Hawaiians were able to live a sustainable lives in such remote areas of Kaua'i. 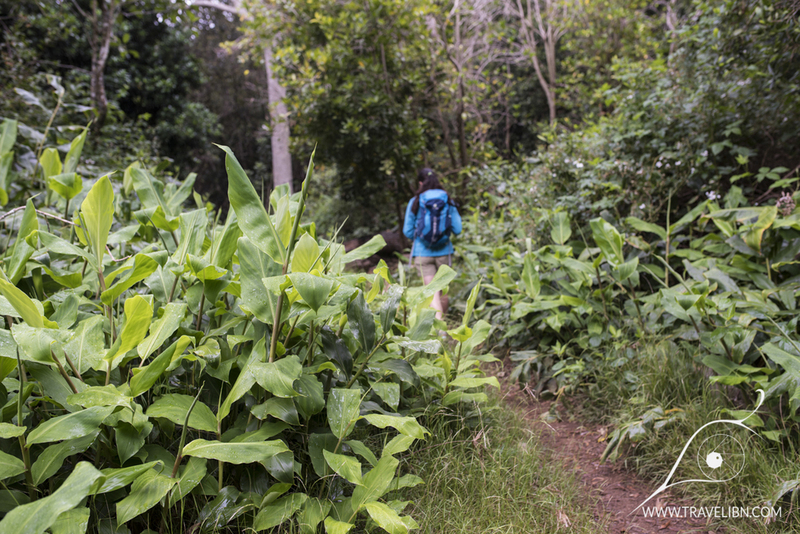 Nu’aolo Valley Trail is one of the most popular half day hikes in the park. The 7.6 miles (12.2 km) round trip (our GPS tracked the total distance at 7.8 miles), out and back hike ends with an amazing vista point overlooking Nu’aolo Valley and the Pacific Ocean. Total elevation change is around 1600 ft (488 m), the trail going downhill most of the way towards the viewpoint (the trailhead is at 3,660 ft or 1116 m and the viewpoint at 2,234 ft or 681 m). It’s rated as moderate to strenuous, given the fact some parts are steep and eroded, as well as for the total elevation change. 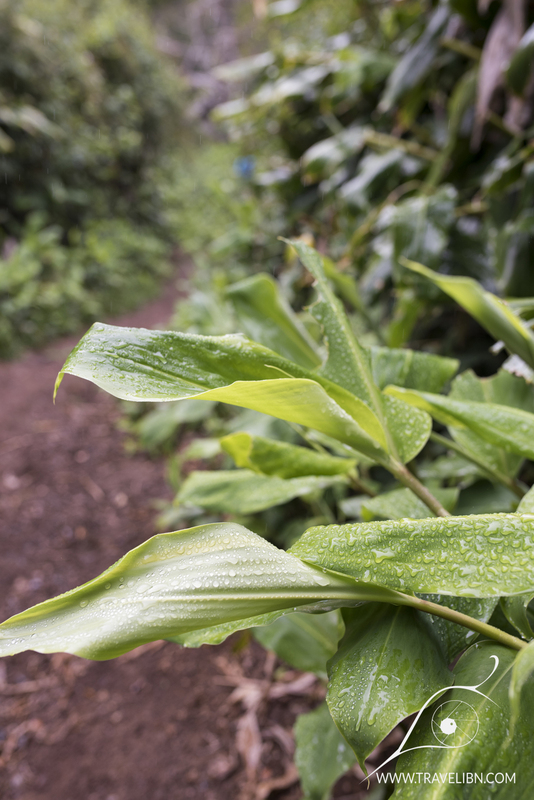 During and after a passing rain shower, the path may be extremely slippery, therefore we suggest to check with a ranger at Koke’e Lodge and Museum and ask about current trail conditions. The trail may be closed at times when it’s too dangerous to go out. 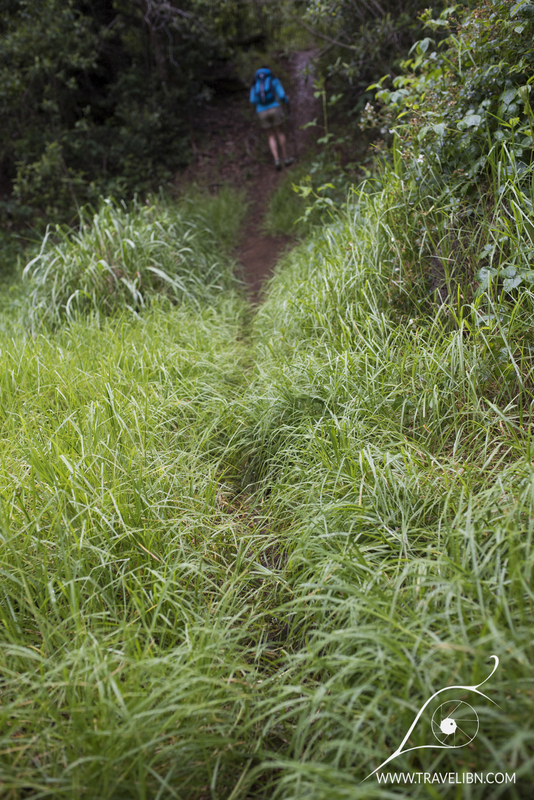 There used to be a way to combine Nu’aolo Valley trail with Awa’awa'puhi trail into one 11-mile loop hike, but the trail that connects them together, called Nu’aolo Cliff Trail, is temporarily closed due to erosion. There is no information when this trail reopens, but I assume it won’t be anytime soon when even in the official trail map it is dashed and described as closed. You can always check the current status of all hikes in Koke’e State Park by visiting Koke'e State Park website. It may reopen by the time you visit Kaua’i, that would make up for one awesome (and really hard) hike. 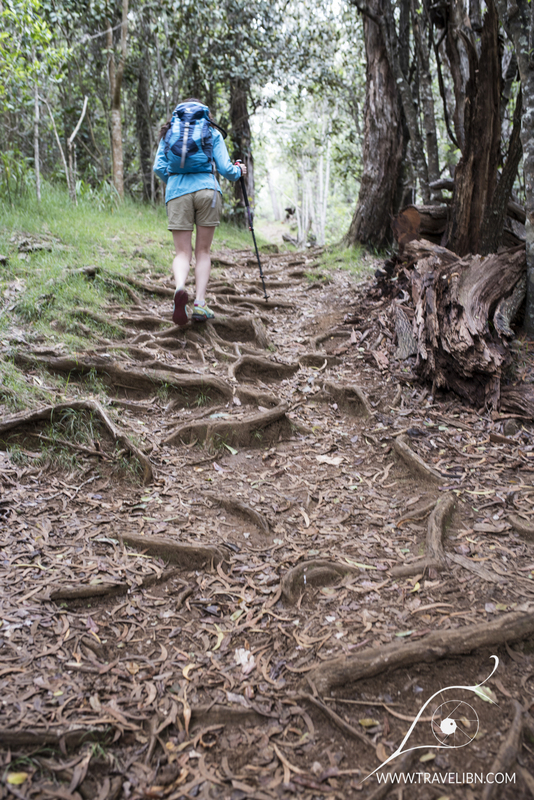 I’m going to repeat myself by saying that, as with all other hikes in Kaua’i, the trail may be slippery when wet and that there are parts of the trail with uneven, sometimes loose ground. It’s always a good idea to stop at the Koke’e Lodge and Museum hank ask a park ranger of current conditions on the trail. 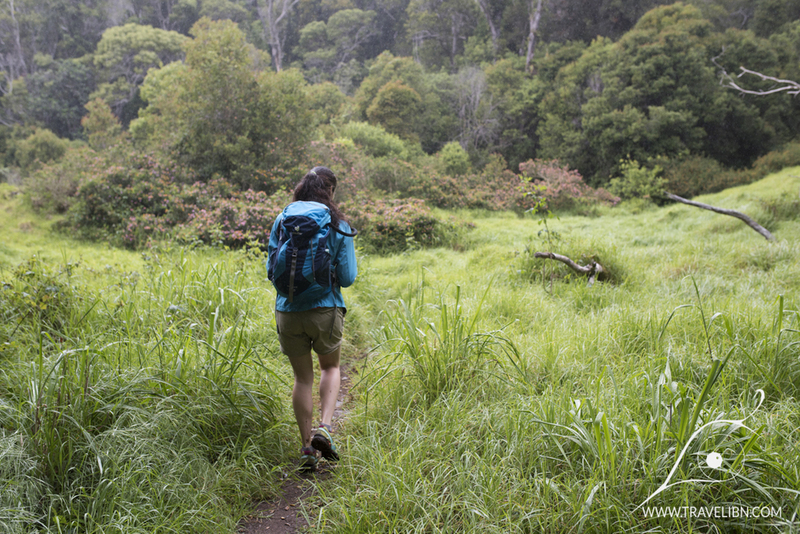 Other than that, bring rain gear as it can rain anytime in Koke’e, wear clothes that you don’t mind getting permanently stained and make sure your hiking shoes have good grip as you will be walking on clay-like surface while doing Nu’aolo Valley Trail. Nu’aolo Valley Trail head is located few hundred feet from Koke’e Lodge & Museum between MM15 and MM16. Park your vehicle at the parking lot and walk down the road (towards Waimea Canyon State Park) until you see a sign pointing to a trail head on your right. See above map. Nu’aolo Valley Trail is a good 4 hours hike, pack your lunch and consume it in front of a million dollar view at the half point mark. The trail begins at 3,660 ft (116 m) and climbs the ridge for the first ¼ mile (0.4 km). You will enter a dense forest dominated by moisture loving vegetation. The path is steep and somewhat unmaintained, adding to the already difficult start. When you reach the top of the ridge, it’s downhill for the next ¼ mile, after which the trail levels and continues so for the next 1.5 miles (2.4 km). You will be surrounded by tropical jungle and an abundance of birds hiding amongst tree branches. 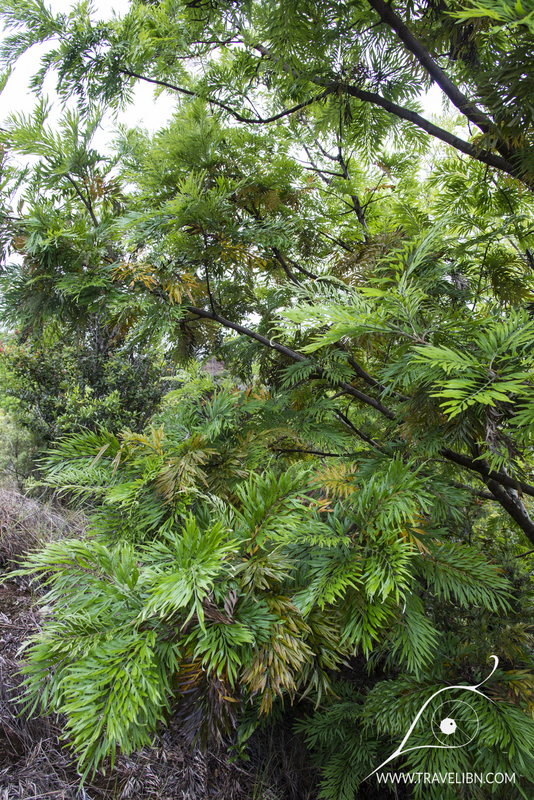 As with other hikes overlooking Na Pali valleys, Nu’aolo trail is a great place for bird watching. The forest is dominated by introduced birds, like the below Red Crested Cardinal, nevertheless it’s also one of the last sanctuaries for native birds, some of them endemic to the island of Kaua’i. 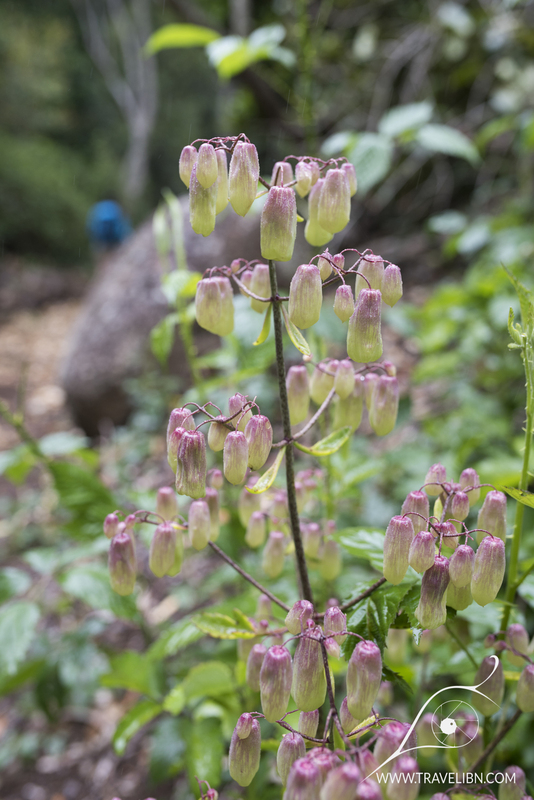 There are few open areas on the trail, where trees give away to tall grasses and low lying shrubs. Around three quarters distance into the hike, landscape begins to change and with it, the vegetation. The moist, warm air is being forced up the Na Pali Cliffs and starts moving towards the interior of the island to form rain producing clouds that make Koke’e State Park so lush and beautiful. For this reason, the closer you move towards the ocean, the drier it gets and the surrounding flora is dominated by semi-arid plants. At the 3.5 mile point, there’s an intersection with the earlier mentioned Nu’aolo Cliff Trail that connects with Awa’awapuhi Trail, however it remains closed due to erosion for an undisclosed period of time. Continue to the left towards Lola Vista, the trail endpoint. Few hundred feet further, the magnificent Nu’aolo Aina Valley starts to come into view. This is the scariest part of the trail as you will be walking on an unstable ground inches from the cliff edge that drops down CHECK over 2500 ft (760 m). During a rare event of a rain shower, proceeding further would be quite dangerous, so please use your judgment when approaching Lola Vista. The trail end, offers a breathtaking, panoramic view of Nu’aolo Aina Valley, the island of Ni’ihau in the distance (weather permitting) and the endless Pacific Ocean extending over the horizon. You will be amazed of the sheet size and beauty of this valley, as it’s so uniquely different from the rest on Na Pali Coast. The hike back to the parking lot is more challenging due to the fact it’s almost entirety uphill, therefore make sure to take some rest and breath in the view on Lola Vista.